In the last several years, there has been a relentless race to the top amongst travel rewards credit cards to attract frequent travelers with mega-bonus offers, richer rewards, and a slew of perks and benefits. But, to many travelers, nothing is more rewarding than a free (or nearly free) companion ticket. Whether you’re a business traveler who wants to combine business with leisure; or you want to stretch your vacation dollars, being able to bring along a family member or friend is what traveling is all about. And in light of increasing ticket prices, companion tickets have greater value than ever. Recognizing the value passengers place on them, several airlines are now featuring companion tickets in their travel rewards programs. In most cases, cardholders can earn a companion ticket every year. Because most travel rewards cre﻿dit cards offering companion airline tickets charge an annual fee, it is at least one way to justify the cost. However, not all companion ticket rewards are created equal. There are varying restrictions in their use; so it will require more due diligence to determine how much value they have based on your own particular travel habits and preferences. Here are some of the top travel rewards programs offering free or discounted companion tickets. The Platinum Delta Card is one of two credit cards offered by Delta Airlines and American Express that include a companion ticket reward. The companion ticket first becomes available in the second year of membership when the $195 annual fee is paid. It is fairly straightforward except there are several restrictions for using it, the biggest of which is it’s not available on all fare classes. If you decide to obtain the Platinum Delta card for the companion tickets, you can also earn 35,000 miles and 5,000 Medallion Qualification Miles (MQMs) after spending $1,000 within your first four months. The card also qualifies for a free checked bag for you and up to 8 travel companions. The companion ticket reward on the Delta Reserve Credit Card is the same as for the Platinum Delta card except with this card you can redeem the companion ticket certificate for coach or first-class tickets. Fare class restrictions also apply, so first class may not be available on some flights. You will pay a fee of $450 per year for the Delta Reserve card, but you’ll also have access to priority seating and the Delta Sky Club. After your first purchase using the card, you’ll earn 10,000 MQMs in addition to 10,000 bonus miles. You’ll have to work a little harder to earn a companion ticket with the British Airways Visa Signature Card. You can earn one free companion airline ticket, or “Travel Together ticket” in any year in which you spend $30,000 using the card. You get the companion ticket when you redeem your points and, although it is free, prepare your companion for some hefty taxes and surcharges. You will probably want to reserve the use of a companion ticket for business or first class flights. The ticket is good for two years after it is issued. You’ll also earn some huge bonus miles, or “Avios”, including a 50,000 bonus after you spend $3,000 within the first three months and another 25,000 bonus if you spend a total of $10,000 within the first year. The annual fee is $95. 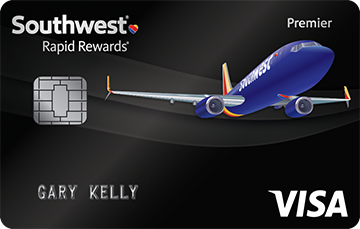 Although the Southwest Rapid Rewards Premier Credit Card does not issue companion tickets automatically, it does make it very easy to earn them using Rapid Rewards points. When you sign up for the card, you can earn 60,000 points just for spending $2,000 within the first three months. You’ll also receive 6,000 points on your one-year anniversary. That gets you close to the 110,000 points you need for a companion pass that lasts through the end of the following year. The big difference is that this is a companion pass, not a ticket, which means it can be used for unlimited free travel during that time. 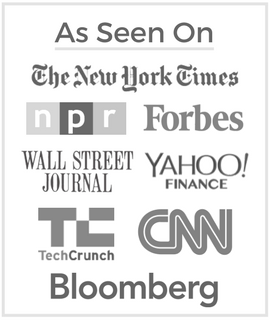 That is more than worth the $99 annual fee. 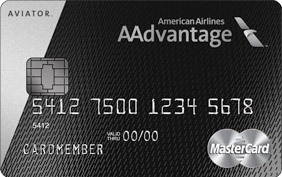 The only American Airlines credit card that offers a companion ticket is the AAdvantage Aviator Silver World Elite MasterCard. However, you can’t just sign up for the card; you have to request an upgrade to the Silver card and then spend your way to a companion ticket. Once you spend $30,000 on the Silver card within your first year, you will be eligible to purchase up to two companion tickets, good for round trip domestic economy flights, for $99 each. In addition to cheap companion tickets, Aviator Silver cardmembers are allowed one free checked bag and preferred boarding, all for a $195 annual fee. Cardmembers also enjoy 25% off in-flight purchases and 10% of their redeemed miles back each year.